We have released a new feature that allows organizations to add metadata without sharing the underlying data. ‘HDX Connect’ makes it possible for our community to discover what data is available or what data collection initiatives are underway. We hope that this will assist with data coordination and transparency in humanitarian crises. An example of a metadata only dataset about displacement in Mindanao. Registered users can request access to the underlying data through a request module that asks for information about how the data will be used. 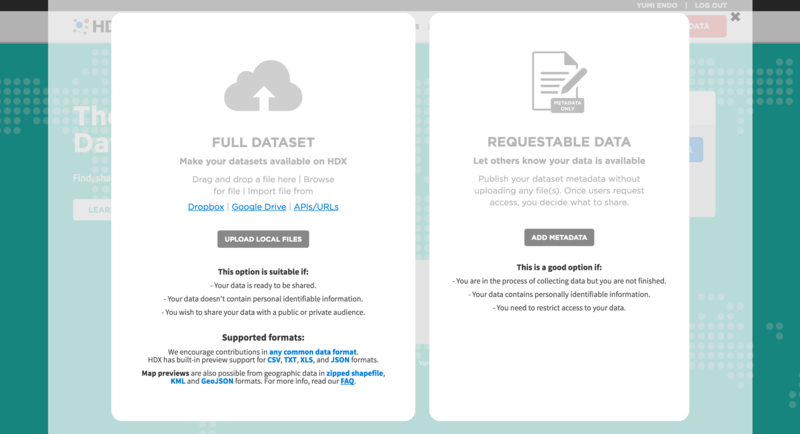 The idea for HDX Connect follows extensive user research on data workflows in West Africa earlier this year. One of the deep slowdowns in data flow stems from a lack of visibility into what data is being collected and what data is available about a response. In addition, there continues to be resistance to sharing data openly. The reasons for this range from uneasiness about data quality and data risk, and wanting to know who is using the data and for what purpose. Humanitarian organizations that want to control access to sensitive data. 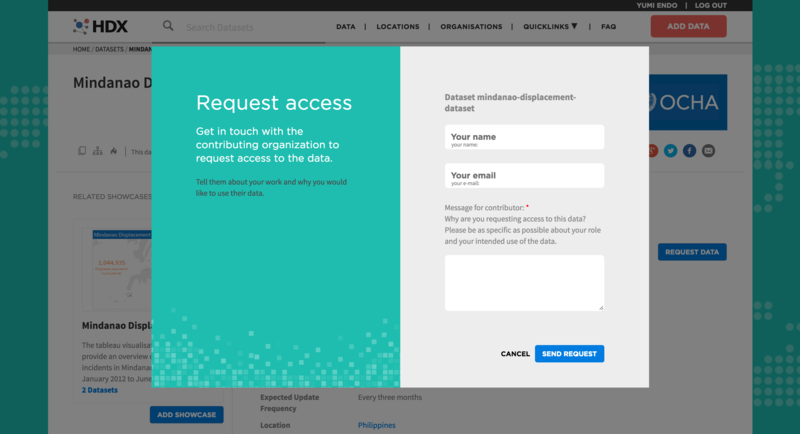 These organizations could also use Connect to share the data collection forms being used in surveys or needs assessments. Government ministries that do not want to share data openly or need to store data in the same country where it originated rather than in the cloud. Private sector companies that have commercial data related to humanitarian crises but can only share it under certain terms and conditions. Data contributors will be prompted to either upload a file or add metadata when they click on the ‘Add Data’ button on HDX. All requests for the data will be managed through the organization’s dashboard. The administrator for the organization can decide whether to accept or deny the request. HDX users can explore all metadata entries. Only registered users have the ability to contact the organization through a request access module. Once the connection is made, HDX is not involved in the decision to share the data. Since HDX was first launched in mid 2014, 290 organizations have joined to share over 5,000 datasets. During that time, we have seen an increase in data that is shared privately among organization members. We are also aware that the 5,000+ datasets on HDX represent a small portion of all humanitarian data being collected and shared across dozens of crises. We believe this new call to action is aligned with our overall goal of making data easy to find and use. It builds on the value proposition of the HDX platform – from sharing data to sharing the existence of data. We certainly hope organizations will continue to share data openly when they can. But when that is not possible, there is HDX Connect. Let us know what you think. Send us an email at hdx@un.org.